For this project, my team wanted to look at the experience of bicycle transportation. Most cities in the US are not bicycle friendly. It is difficult to get around, bicycles get stolen frequently, and accidents occur with a frightening frequency. We wanted to design some kind of product to improve the experience for bicyclists. This class was based on the lean methodologies described by Eric Ries in his book The Lean Startup. The idea was to create a new business based on this new product. The design of the class was simple yet highly effective. Each week we were tasked with generating several new concepts and then testing those concepts with people. These tests could take the form of anything from advertisements on Google or Facebook to Wizard of Oz prototypes. A large component of the course was also focused on building a viable business case around the new venture. Additionally, we carried out analysis for how a rollout would work and what resources would be required. We started using an affinity diagram to understand all aspects of bicyclists and the bicycle experience. The combination of the seven attributes (pleasure, efficiency, safety, security, community, convenience, and fitness) would be the basis for the rest of the project. To test our hypotheses, we first created combinations of our attributes and used them to create ads which we placed on Facebook. These ads brought users to a specific splash page where they could further show interest by submitting their email. We found that people were overwhelmingly interested in efficiency, safety, and security when it came to bicycling. Our first solution was centered around showing bicyclists safer and faster routes to their destinations. Attribute mapping was highly effective in demonstrating where "red ocean" and "blue ocean" opportunities existed. Clearly this offering landed us in a red ocean as our product was undifferentiated from most other products. Our unnamed venture versus a red ocean of large corporations. SafeSaddle versus typical insurance companies. In mapping insurance companies on this two-by-two diagram, we found an opportunity space in being a specific and connected platform. A typical insurance company is largely invisible to their customers unless premiums are due or an unfortunate event occurs. We wanted to challenge this orthodoxy. Our product (aptly named SafeSaddle) would offer constant touchpoints to the customers in the forms of useful information on where are the safest places to bike and park their vehicle. In exchange, customers would provide SafeSaddle with using safer routes, data about their whereabouts, and information about paths and streets. Typical insurance companies were missing all this value due to their lack of connectivity. Insurance companies can be highly visible and actively protect their investments (their customers) by providing them with ways to stay safe. We realized we were in need of a pivot. Our tests had proved that people care about safety and security. We mapped out the core competencies of products like Google Maps and My Fitness Pal and found that these companies had no real vested interest (built into the product) for seeing that their users were safe or secure. This was when we realized that the insurance company paradigm was the perfect analogue to our problem. Insurance companies have a real interest in making sure that their customers stay safe because otherwise, the company pays the price. Interestingly enough, we found that insurance companies do a relatively poor job of being proactive in this way. With this insight in mind, we got to work creating a solution that would eliminate the biggest costs to a bicycle insurance company. The two biggest costs would be accidents and stolen bicycles. This lead to some preliminary "how might we" statements. How might we keep bicyclists safe on their rides? How might we keep bicycles from being stolen? How might we reward safe bicyclists and penalize those who do not utilize the product? SafeSaddle could utilize smartphones and smartwatches to track users and give them turn-by-turn guidance. If a user follows the guidance, they would be rewarded with a smaller premium in the future, larger premiums would thus follow less safe bicyclists. Borrowing some of the user-input paradigms from Waze, users could provide real-time data from their watch about if there was an accident or whether there are unsafe conditions on a road. To encourage bicyclists locking their bikes in safer locations, not only could the product guide users to safer areas with better crime statistics, but there would be an opportunity for partnerships. If a user bought a safer lock through the product, their monthly premium could be lowered (and the company would be given a piece of the profits. Using smartwatches and GPS, SafeSaddle can give users turn-by-turn advice and provide an opportunity to give back to the system in order to keep other bicyclists safe. A rider that contributes often to the system may see a reduction in their premiums. By buying a safer lock through the app, a user can decrease their monthly premiums. 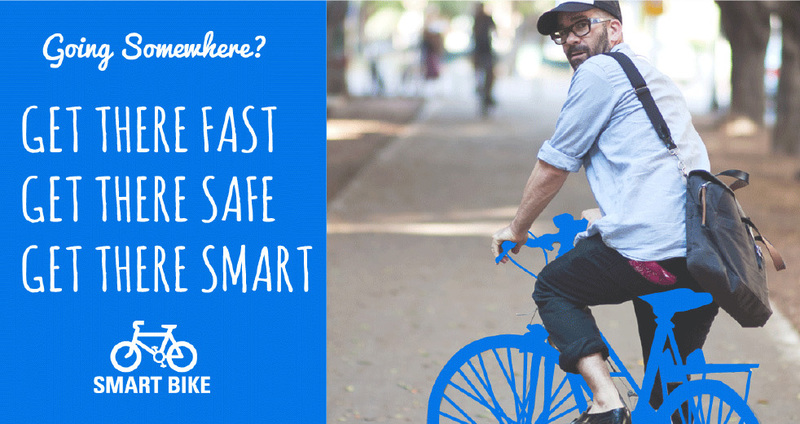 A safer bicycle means less risk for SafeSaddle. Using new low-power GPS networks, a user can keep tabs on where their bicycles are at all times. Such a system could be planted within the bicycle (these new low-power GPS systems can last years without needing new batteries).